The earthquake that struck Nepal on April 25th has left behind a trail of wide spread damages having killed more than 8,000 people and lakhs of survivors who lost their homes and livelihoods. 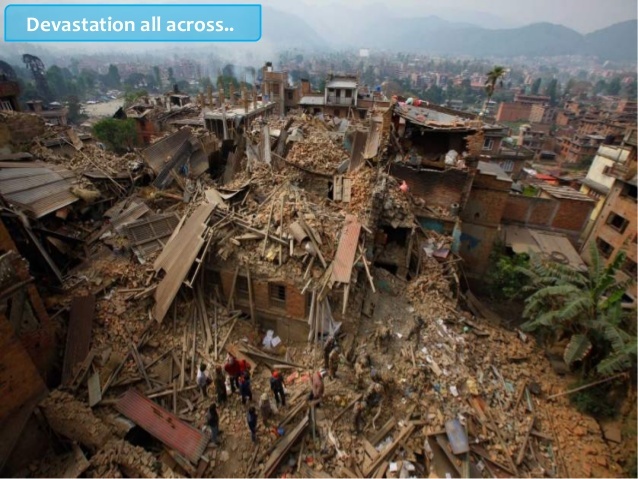 Another massive earthquake hit Nepal on May 12th leaving dozens dead, thousands injured and more cities and villages destroyed. Association for India’s Development (AID) plans to support grassroots partners, Ganga Ghar , Nepalese Children Education Foundation and America Nepal Medical Foundation , that are working on ground in Nepal. On their request, AID has arranged to raise funds that will be directed towards the immediate relief and long-term rehabilitation work. Some of these groups are working in rural areas where limited help has reached.